One of the questions I’m asked most often is “Why should I choose reusable swim nappies over disposable ones?”. After all most people use disposable regular nappies over reusable ones. For me though the two situations are as similar a chalk and cheese. A case can be made for both, they both have environmental impact albeit in different ways, so it comes down to which is most convenient for your lifestyle. Swimming nappies are a different beast. 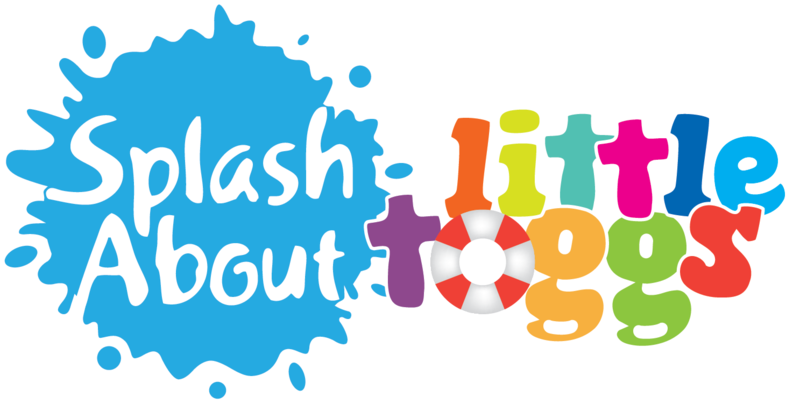 We would likely take our children swimming at most twice a day and then that would be in summer or on holidays so the prospect of a load of washing is far less, usually a rinse will be all that’s required. This hugely reduces the environmental impact of all those hot washes and chemicals used to clean normal reusables. So convenience isn’t really a factor. In fact it’s more convenient not to have to pop to the shops when you realise you’ve run out. 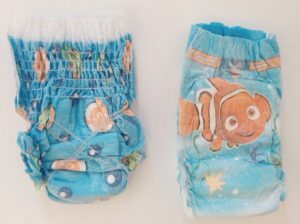 A re-useable nappy pant is just stored in the swim beg along with other swim kit. From the view of the cost conscious parent they’re considerably cheaper too. One happy nappy fits for a whole year, and they’re more comfortable than disposables too. That’s swimming nappies covered for $29.95 per year (and if you visit the Little Toggs website you can find some in our sale for as little as $15 see here ). Compare that to say a leading brand sold at Coles. You get 12 disposable swim nappies for $15, that’s $1.25 each. Even if you take your little one to just weekly swimming lessons that’s going to come in at $65 per year, add in trips to the beach or other pool visits and it’ll quickly shoot over the $100 mark. Which is a lot for a swim! In addition to these reasons there’s another less hard headed one. They look great, we have a fabulous range of sizes and styles for both boys and girls without any advertising for children’s films in sight! I’m looking at you Nemo! So in addition to being more practical and economical they’re way more stylish, and who doesn’t want to look their best on the beach? All these things are reason enough to call them Happy Nappies but there’s one more aspect that often gets overlooked. In the modern world many of us are trying to reduce our impact on the environment. It’s hard at times to make the changes to lifestyle to achieve this. Disposable swimming nappies usually end up in landfill. Disposable nappies are not biodegradable, approximately half (sources vary on this) a nappy is but that means half of it is not. The gel that they use to capture baby’s bodily fluids is the main culprit here. Huggies estimate that approximately 2% of all landfill is for nappies. They think that’s low, I think it’s pretty high. Of course swimming nappies make up a fraction of that but there’s no harm in reducing it. Every little helps. So this is one case when making the right choice for the environment is easy, in fact it can improve you and your little one’s lives. Reusable nappies are more environmentally friendly, cheaper, more practical, more comfortable and look great. There’s no reason not to make the swap! Hello. I am trying to decide whether to get a warm in one, wetsuit or baby wrap! Can you help me? I initially thought the warm in one would be best but maybe it will be too hot? It is likely to sunny in Sept/Oct but the water will still be cool. Do you have a recommendation for me? Also if I order today will it arrive by next weekend?